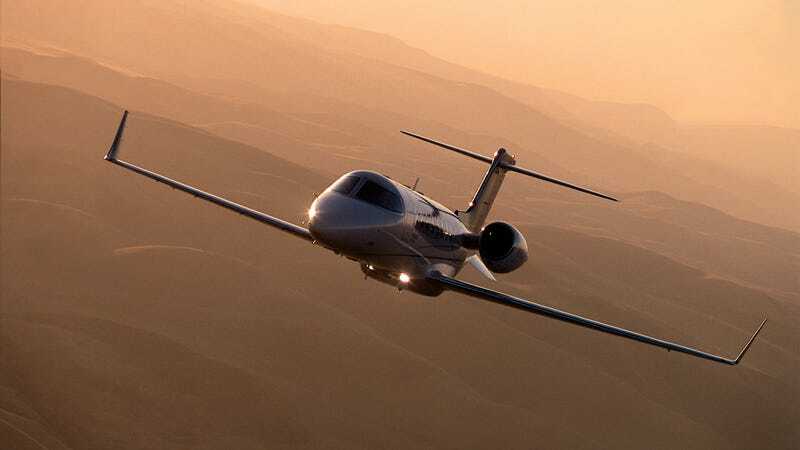 Right now, a Learjet 45 (like the one pictured) is circling the Lambert-St. Louis International Airport, trying to troubleshoot a landing-gear problem. Airport officials say it has a "known problem" with the nose gear, and they're preparing for an emergency landing. They also say "it's a private airplane." CNN reports the Lear 45 is carrying eight passengers, and that the plane has made at least one pass, for tower sighting to determine the extent of the issue, which has something to do with the nose-gear door. Emergency vehicles have gathered en masse along the Lambert airfield. Strangely, some confusion arose earlier when CNN originally thought a USAF C-21A (itself a glorified Learjet) that was apparently doing training touch-and-go takeoffs and landings at the time of the emergency was the disabled jet. Watch the live stream on Fox 2 St. Louis.